The base is made of stone and stainless steel. 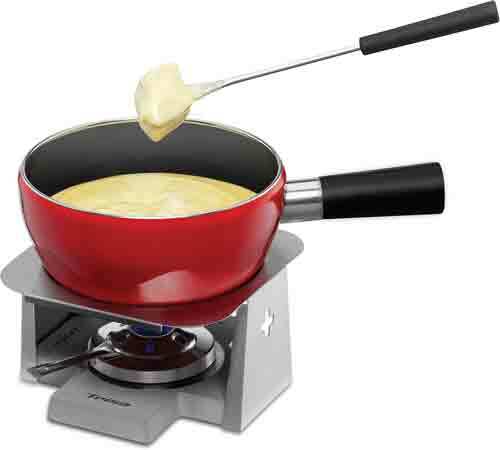 Includes paste burner, 6 cheese fondue forks. 2 Qt. The red/black metal pan is also suitable for use on induction cookers. Service Area: New Glarus, Beloit, Freeport, Rockford, Sun Prairie, Machesney Park, Middleton, Stoughton, Fort Atkinson, Oregon WI, Waunakee and surrounding communities.